manchester are champions - at last! City of Manchester had little difficulty in the end in claiming the men's Super 5s crown for the first time, beating Lancaster 16-4 in their final match at Guildford. Manchester needed to take both points after being held to a spectacular 9-9 draw by Cheltenham on day one. But early goals by Joe O'Regan put them firmly in charge and they finished a point clear of Cheltenham, the runners-up. Victory was a relief for Manchester after the disappointment of narrowly missing out on the title two years ago. "We have been runners-up too many times," said assistant coach Kevin Williams afterwards. "We tended to lead the division early on and then miss out in the later stages. In fact, until now, it is only the men in our club who haven't won a national title. "It's disappointing, of course, that our girls couldn't make it a British League double this time. But our records this season show a tremendous strength in depth throughout the club, with our juniors excelling in national competitions." The men's winner-takes-all clash with Cheltenham was a brilliant affair. Cheltenham had won 10-5 when the teams met in November. But it was an entirely different matter this time as Manchester stormed into a 6-2 lead after two quarters. With Cheltenham missing chances as well as suffering a spate of exclusions, Manchester's slick counterattacking ensured they retained a healthy lead, which stood at 9-5 towards the end of the third period. Although Cheltenham immediately reduced the lead to 9-6, they looked down and out until the character of the game changed completely in the last three and half minutes. Goals in quick succession by David Taylor and Rob Parker set up a nerve-tingling finale in which Cheltenham twice hit the woodwork. Finally, with 32 seconds remaining, Taylor robbed his opponent in mid-bath and, after exchanging passes with Parker, slotted the equaliser. Portobello ensured fourth place when they defeated Bristol Central 7-5. The Scots made a slow start, missing the chance to build a comfortable first quarter lead when Bristol goalkeeper Andy Crawford saved two penalties. Bristol recovered from 3-1 down to level at 4-4 at the halfway stage. But Portobello regained a 6-4 lead by the end of the third quarter thanks to goals by James Scobie and Fraser Rutherford. Another Scobie goal was enough to secure victory for Portobello in the final quarter. 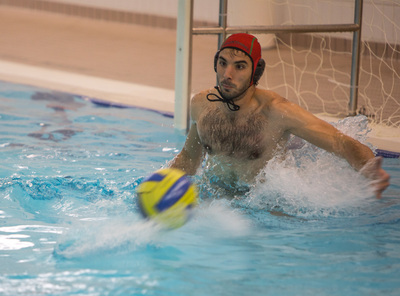 Portobello rounded off their season with a 17-12 victory over Lancaster, including nine goals by Spain's Ivan Losa Zurita. The trophy (above) was presented by British League life member Dr Mike Clark. Division One will have a new look at the start of next season, with the three teams that dropped to Championship 1 this year - Caledonia, Welsh Wanderers and West London Penguin - all failing to qualify. The all-important top three spots went instead to champions City of Sheffield (pictured), Invicta and Polytechnic. Sheffield maintained their 100 per cent Championship 1 record at Hengrove, Bristol (14/15 December) but were pushed all the way by Poly. At the halfway stage, the Yorkshire side seemed to be cruising with an 8-3 lead. But battling Poly scored four goals without response in the third period through Luke Jones, Andrea Mirabile, Spyros Tzamtzis and Chris Icely and levelled with five minutes remaining when Mirabile netted again. It was left to GB Olympian Adam Scholefield to steady the ship for Sheffield with the winner a minute from the end. The trophy and medals were presented to Sheffield by BWPL President Pippa Jones, also, of course, a Sheffield member and former GB international. Invicta eased through the final weekend, thumping Welsh Wanderers 17-2 and then beating Caledonia 14-12 after racing into a 7-1 lead. 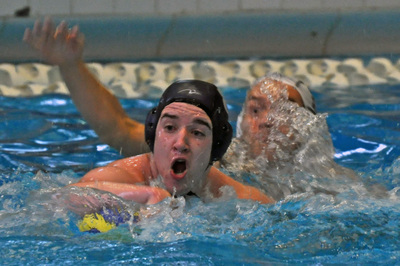 Poly recovered from their defeat by Sheffield, beating Penguin 11-4 and Croydon 11-5 on day two. Picture above by Trevor Hyde. Left to right: Neil Williams, Elliot Kelly, Tom Girling, Liam Humphreys, Josh Smith, Chris Armstrong, Tom Kelly, Chris Howard, Martin Kelly (coach), George Rix, Denry Leighton (team manager), Joel Leighton, Richard Leighton, Pippa Jones (BWPL President), Giannis Ionnides. Absent: Adam Scholefield, Joel Abbot, Liam McCarthy, Alex Tollefson, Eleftherios Giourgou. Action photo: Sheffield's Chris Howard (blue cap) battling with Yasutaka Ota, of Penguin. Birmingham, pictured, wrapped up the Championship 2 title at Marlborough College (14/15 December), beating a determined Carlisle side 14-12 and Exeter 19-10. Proud recipients of medals from BWPL Chairman Dave Andrews included the seemingly indestructible ex-internationals Gary Tonks and Dave Edwards, whose combined ages are rumoured to total 105 years! The battle for promotion places proved the real highlight of the weekend. Sutton & Cheam booked their place in the top three almost before breakfast on day two (the game was at 8.30am), edging ahead in the last quarter to defeat Hucknall 16-12. Dan Siddons scored seven for Hucknall. On the scoresheet for Sutton was Kieran Bayles, back home for Christmas from his job in Australia. He had travelled more or less straight from the airport to play for his home club having watched England cricketers humbled by Australia in 41 degrees at Perth only the previous day. Undoubtedly, the match of the weekend was the shoot-out for the third promotion spot between Manchester Hawks and Worthing. For much of the early stages, it seemed that neither side would beat two outstanding goalkeepers - Steve Williams (Hawks) and Marc Guimera. Eventually, however, Manchester claimed a 3-2 lead at the end of the third period with a goal by James Salt - and made it 4-2 early in the last through Jack Wilczynski. Peter Benedik replied for Worthing, but eventually Wilczynski's second goal towards the end ensured a 5-3 Manchester win. Photo: Skipper Ben Cartwright receives the Championship 2 trophy from BWPL chairman Dave Andrews. Players are, left to right, back row: Tom Carpenter, Ryan Padbury, Gabriel Alberici, Dave Lane, Matt Foulds. Middle: Dave Edwards, Jack Donelan, Jason Culloo, Scott Haystead, Nigel Greenwood (coach). Front: Gary Tonks, Sam Baker. Solihull continued their charge up the British League at Marlborough College (14/15 December), sewing up the Championship 3 title with comfortable victories over Cambridge (16-5) and South Derbyshire (14-5). The other promotion places went to University of Bristol and Otter. Both survived defeats on day one - Otter crashed 17-8 to Bridgefield (their first win) and the University were edged out 10-9 by South Derbyshire. BWPL chairman Dave Andrews was again on duty to present the trophy to Solihull skipper Ian Jolly. Back row, left to right: Shaun Coggin, Dan King, Simon Gately, Sam Bennett, Phil Powell, Ben Simkins, Jordan Elliot, Ben Greenhill, Matt Kelly, Chris Thorley. Front: Tom Whiting, James Kelly. 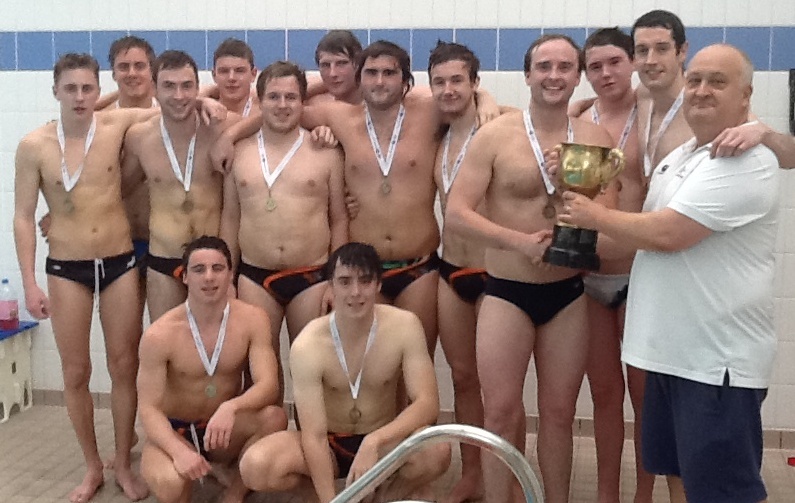 Youthful Cheltenham Spartans grabbed the Championship 4 crown at Leeds University (14/15 December) after beating main rivals York City 10-5. Cheltenham had a much tighter top four match on day one, drawing 13-13 with Southampton. A goal by Solomon Robson 37 seconds from the end gave Cheltenham a 13-12 lead, but Goulielmos Logothyetis equalised just 11 seconds later. York, who beat Basildon 10-8 and Southampton 16-4 took second place and earn promotion together with Southampton. Manchester won their two Super 5s matches at Lancaster (7/8 December) without too much difficulty. It means they head for the finale at the University of Surrey pool, Guildford, on 25/26 January with a precious one-point lead - but with a first British League title by no means guaranteed. Cheltenham, the current champions, continue to snap at their heels, extending their sequence of victories to four. The meeting of the two sides on day one at Guildford will be viewed by many as the potential title decider, although Lancaster could still have a say in the eventual outcome. Bristol held Manchester to a goalless first period, but four Manchester goals without reply proved decisive in the second and set up a 9-4 win. Portobello were beaten 8-4, Mike Bourne leading the Manchester scoring with three. 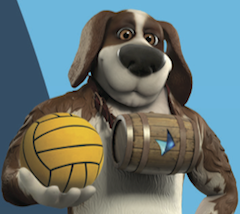 Cheltenham's clash with Portobello was a slightly unusual affair in that Cheltenham led 3-0 after the first quarter, trailed 5-4 after the second - and then scored eight without response to win 12-5. Joel Thomas and Rob Parker both registered hat-tricks for Cheltenham. On day two, Cheltenham avenged a crushing 21-11 defeat by Lancaster in their first match of the Super 5s campaign, winning 15-12. After an even first quarter, Cheltenham controlled the second and third, with Jake Vincent claiming five goals. Tom Curwen scored five in Lancaster's 15-8 defeat of Bristol. Southampton and York City headed their groups in Championship 4 after both chalked up two more wins at Basingstoke (30 November/1 December). They will be joined in the top four decider at Leeds University (14/15 December) by Basildon and Cheltenham Spartans, which means that all four qualifiers are new clubs to the League this season. York needed to beat Ealing to make their position secure and this match proved to be one of the best of the weekend. Ealing struggled early on, trailing 3-0 and then 6-2 before fighting back to claim a brief lead at 9-8 at the start of the last. With five minutes remaining, Paul Floyd's fourth goal of the game gave York an 11-10 advantage - and that, despite three time-outs and thrills and spills at both ends, was how it stayed for the rest of the game. 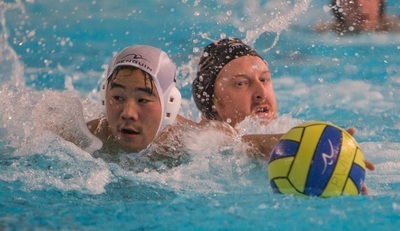 Southampton might have expected an easy ride against Sheffield Dolphins, without a victory all season. But the very young Yorkshire team played with great spirit, almost stealing a point when they battled back from 8-6 and then 11-8 to score late goals by Niall Wainwright and Philip Redford-Jones. A last-ditch Sheffield time-out failed to produce another goal and Southampton were relieved to finish with an 11-10 win. Later, Sheffield deservedly collected their first point, drawing 10-10 with 2nd City Birmingham thanks to James Newton scoring their final equaliser with 16 seconds left on the clock. Basildon beat Bedford 14-7 to clinch their top four place. The win might have been more emphatic but for some outstanding goalkeeping by Bedford's Adam Boon (Photo: Trevor Hyde). Josh Inwood (4) and John Vella (3) led the Basildon scoring. Cheltenham eased through their group with a 17-6 win over Dover and 12-7 against Old Whitgiftians. There were goals galore as Bedford and Invicta Marlins drew 19-19. From 15-10 up, Marlins found themselves trailing 19-17 - only to level with goals at the death by Tom Redfern and Oliver Grauers. Top photo (by Darren Nash): Paul Cheetham, of Invicta Marlins. It's a very long time since Lancaster suffered such a humbling defeat as their 18-7 Super 5s thumping by Manchester at the Surrey University pool, Guildford (23/24 November). Not that Lancaster will often face such an inspired goalkeeping performance as that produced by GB Olympics star Ed Scott (pictured). He saved FOUR penalties. Two of those were in the opening three minutes - a key factor in giving his side the encouragement of a 5-0 lead, later improved to 11-2 in the third period. Scott also pulled off several more super saves while, in attack, Mike Bourne was the main Lancaster destroyer, scoring eight. The Super 5s campaign has now reached the half way stage, with Manchester and Lancaster level at the top on six points, followed by Cheltenham with five. The first four games played by each side will now be repeated - with the battle for the title likely to remain open until the final weekend in January. Results between the top three are certainly impossible to predict. Manchester looked a very different side against Cheltenham, conceding four goals without response in the third period on the way to a 10-5 defeat. Cheltenham also improved their chances of retaining the championship with a 19-10 victory over Bristol Central, including seven goals by Rob Parker. Lancaster held a narrow lead all the way through against Portobello before winning 14-12, Alex Parsonage netting six for Lancaster. The Scots then claimed their first Super 5s victory of the season - 13-3 against a Bristol team yet to claim a point. Four goals without reply in the third period set up Sheffield's 13-11 victory over Invicta in the top-of-the-table Championship 1 match at Guildford (23/24 November). Invicta had been very much on contention up to that point at 6-6. Both sides will still expect to finish in the top three and qualify for Division One at the start of next season. But nothing is guaranteed in this closely-fought division, as Sheffield's narrow 10-9 win against Caledonia confirmed. Sheffield looked comfortable at the end of the third period with a 9-6 lead, but were pushed all the way by the Scots in the final quarter. The last four minute produced no goals - just a sustained period of intense, end-to-end attack and near misses. Invicta had to battle hard for their 12-10 win against Polytechnic, recovering from 7-6 down half way through the third period. Jack Waller and Callum Bailey both scored four. Poly, however, remain very much in contention for promotion after beating Welsh Wanderers 10-8. Penguin just managed to resist a strong rally from Team Northumberland, clinching their first points at 10-9 after leading 7-2 in the third quarter. Birmingham made it five straight wins in Championship 2 at Hucknall (23/24 November) and only Worthing now have any chance of overhauling the Midlanders for the title. The meeting of these sides was a topsy-turvy affair. Birmingham shot into a 7-1 lead - including five goals by ex-Cheltenham and GB veteran Dave Edwards - and then could easily have dropped at least a point. Worthing gradually got their act together, recovering to 9-4 after three quarters and then edging up to 9-8 when Sam Abbott scored with just over a minute remaining. A Birmingham exclusion after that gave Worthing a chance to equalise, but they couldn't convert and a relieved Birmingham team held on to their one-goal advantage. Edwards scored six more in Birmingham's more comfortable 19-11 victory over Sutton & Cheam. There were some other notable individual goal- scoring achievements, including 11 by Dean Smith, of Manchester Hawks, in a losing cause against Sutton, who won 21-18; ten by Dan Siddons in Hucknall's 13-13 draw with Carlisle; and eight from Mike Grantham, of Leeds Sharks, in a 17-13 win over Exeter. Championship 3 is set for a dramatic finale at Marlborough College next month after the three sides in the promotion positions ended with identical records of four wins and a defeat after the latest matches at Walsall (23/24 November). The "goals for" column could well become highly significant in deciding the title winners. Solihull's superb winning run - 24 matches! - since re-entering the league in 2012 finally came to the end in a 14-10 defeat by Otter. Six-goal Brian Whitlock proved too strong and skilful in the pit for the younger Midlands side, who nevertheless will rue a number of missed chances. Otter's success meant they retained the division's only 100 per record - but it didn't last long. University of Bristol matched Otter's physical presence in an excellent, final match of the weekend, recovering from 3-2 down after the first quarter to win 13-9. Charlie Harbot (4), Aritz Dunun (3) and Tom Woolf (3) were the main scorers for the students. Nikolaos Roussos hit four for Otter. With the University, Solihull and Otter winning their other games, all three left Walsall with eight points. In other matches, South Derbyshire and Watford reached 15-15 in the last quarter before two goals in the last 40 seconds by Neil Swainson earned South Derby a 17-15 win. Bridgefield recovered from 12-8 down in the last quarter to 12-12 against Cambridge only to lose out when Steve Cooke's last-ditch goal gave Cambridge a 13-12 victory. New clubs made a significant impact as Men's Championship 4 opened at Walsall (16/17 November). York City, Southampton - both with winning records so far - Basildon and Cheltenham Spartans will all be eyeing potential top four places when the competition reaches its climax at Marlborough College next month. Southampton beat 2nd City Birmingham 18-7 and Basildon 14-10 but had to battle hard for a 13-11 victory over Bedford. After two quarters Bedford led 7-5 and the match went to 11-11 in the last before goals by Goulielmos Logothetis and Mickey Kingsley settled it. Justin Irvine scored six for Bedford. Goals by Nick Boaz (6) and Chris Burns (5) led York to a comfortable 17-7 defeat of Old Whitgiftians. York held out for a 9-8 victory over Cheltenham Spartans after leading 8-5 at the start of the last period. Whitgiftians staged the comeback of the weekend to edge out Dover 13-12. Dover led 11-6 towards the end of the third quarter, only to lose the final period 6-1. Tom Burridge and Nick Shute were the main Whitgiftians scorers with three apiece. Will Rayson's seven goals inspired Cheltenham Spartans' 20-11 win against Ealing. It was much more straightforward for the London side against Dover - they won 21-9, including nine goals from Linas Liudzius and eight from Rumen Kurtev. The opening weekend of Championship 2 at Gloucester (9/10 November) produced an unprecedented goal glut - a small matter of 340, or an average of just over 28 per game! Clearly. the 25m, all-deep facility at the splendid GL1 pool is a favourite with players at this level. Three places are up for grabs in Division Two at the start of next season. And already only Birmingham hold a 100 per cent record from three matches. Even then, it was a close call when they faced Manchester Hawks. The Midlanders seemed to be coasting to victory with a 12-6 lead after two periods and 16-11 after three. Then, led by three-goal James Salt, the Hawks staged a tremedous fightback, recovering to 16-16 as Ruben Jimenez equalised with three minutes remaining. The Hawks' charge was halted a minute later when Sam Baker scored to give Birmingham a 17-16 victory. Birmingham will look back now with gratitude to their goalkeeper Jim Alton, who earlier in the match saved two Carlisle penalties. Birmingham also defeated Leeds Sharks 25-12 and Hucknall 13-5. 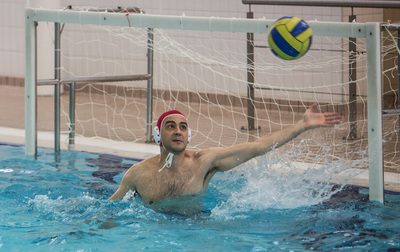 Worthing made a good start, drawing 15-15 with Exeter when Paul Phillpott's goal 49 seconds from the end rescued a point; defeating Sutton & Cheam 15-9. in a game where their goalkeeper Marc Guimera (Picture: Trevor Hyde) was the star; and then edging out Carlisle 7-6. Manchester Hawks hammered Leeds Sharks 20-7 on day two, with Salt scoring seven, Dan Smith five and Jock Wilkins three. English language student Emri Cubukou, who travels home from Devon to Turkey to train with his country's national squad, was in dazzling form for Exeter, scoring six times in the first two quarters against Sutton & Cheam. But it was all to no avail. Although still 16-14 down after three periods, Sutton dominated the last to win 20-17, with Stephen Bayles (6), Ed Freeman (5) and Chris Evans (5) among the goals. The revival of Otter this season continued at Liverpool (9/10 November) where they won their first three matches in Championship 3. But it was close against Cambridge. They twice had to defend man-down situations in the last minute before holding out for an 11-10 victory. Brian Whitlock led the scoring for the London club with six. Otter also beat Grantham (12-9) and South Derbyshire (17-12). The other team to complete a 100 per cent weekend were Solihull. Tom Whiting scored four of their goals in a 12-9 defeat of Grantham. Their other wins were against University of Bristol (13-9) and Watford (18-11). Cambridge salvaged a 7-7 draw against South Derbyshire when Adam Oakman scored for them with just 12 seconds remaining. Lancaster and Manchester set the pace at the opening of the men's Super 5s at Bath University (26/27 October), both achieving two victories. Champions Cheltenham had to settle for a single point - from a 7-7 draw with Portobello. The fixture schedule meant that Lancaster were the only team required to play two games in a day and they faced up to the challenge superbly. The match against Cheltenham was close enough in the early stages - Cheltenham recovered from 5-2 down in the first quarter to lead 8-6 at one point - but Lancaster countered in exhilarating fashion with a nine-goal third period salvo and this transformed the game. They ended up winning 21-11, including eight goals from Alex Parsonage. Parsonage claimed six more and Tom Curwen five in an 18-14 defeat of Bristol.. It was 2-2 in the first quarter but Lancaster were in control once they had won the second 7-4. Manchester had to overcome stubborn resistance from Portobello before winning 11-9. The Scots led 5-2 early in the second period and it was only at the end of the third that Manchester edged into a lead for the first time. 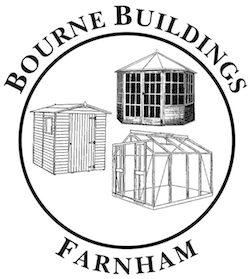 They held on in the final quarter to win 11-9, including five goals by Mike Bourne. The Manchester-Bristol clash, which Manchester won 12-7, was a high quality affair in which the referees, Damien Taylor - off to Italy in December to officiate in the World League - and Hungarian Mark Horvath deserve credit for their contribution. From 4-4 in the first quarter, Manchester gradually edged ahead to 7-5 in the second and then 9-5 after three. Joe O'Regan (4) and Bourne (3) led the scoring. Portobello had genuine prospects of victory over Cheltenham when they held a 6-4 advantage midway through the third quarter. It was 7-6 to Portobello at the start of the last and, with their goalkeeper Bojan Donevski saving a penalty, it remained that way until Rob Parker equalised with a minute and half left. Cheltenham could easily have won it after that - Mark Banwell hit the woodwork from close range - but Portobello deservedly claimed a point. Sheffield, Polytechnic and Invicta were the only double winners during the Championship 1 opening weekend at Bath University (26/27 October). Adam Scholefield scored six in Sheffield's 19-6 defeat of Team Northumbria but his side faced stronger resistance in the early exchanges from Welsh Wanderers before winning a marathon match 21-13. The Wanderers led 7-5 after the first quarter and it was not until the beginning of the third that Sheffield edged ahead at 11-10. Polytechnic defeated Caledonia 16-10 and Team Northumbria 20-11, with Danny Davis contributing six in each game. 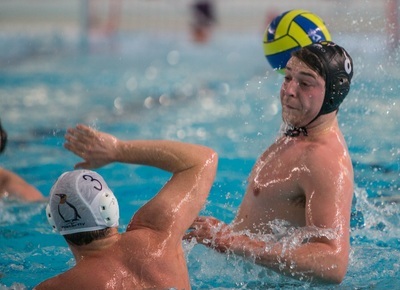 Five goals apiece for Sean King and Callum Bailey featured in Invicta's 17-9 win over Penguin. Then Invicta beat Croydon 14-9. Photo (by Trevor Hyde): Tom Kelly (blue cap), of Sheffield.